The richest woman in the world (at the time of writing), Françoise Bettencourt Meyers ranks 14 on Forbes’ World’s Billionaires list. The heiress, who is the granddaughter of L’Oreal’s founder Eugène Schueller, inherited the beauty empire when her mother Lilane Bettencourt passed on in 2017. She is the chairwoman of the family’s holding company Tethys SAS, which owns 33 per cent of L’Oreal’s stock. Bettencourt-Meyers is also passionate about philanthropy and is the president of the family’s Bettencourt Schueller Foundation, which funds and encourages scientific research, humanitarian causes and the arts in France. Unlike her brothers, Alice Walton, the daughter of Walmart founder Sam Walton doesn’t have an active role in running the world’s largest retailer. Instead, she is a dedicated patron of the arts and a philanthropist. She is also the founder and chairperson of Crystal Bridges Museum of American Art, which she established in 2011. Crystal Bridges was the first major art museum since 1974 and has since amassed a notable collection, including works from Andy Warhol, Norman Rockwell, and Mark Rothko. In 2017, Walton founded non-profit foundation Art Bridges, which aims to provide greater access to American art throughout the country. 3/10 Jacqueline Mars, Mars, Inc.
Granddaughter to Frank C. Mars, the founder of the world’s largest candy maker, Jacqueline Mars is an heiress to Mars, Inc, and possesses an estimate of a third of its shares. The 79-year-old joined the company as Food Product Group President in 1982, retiring in 2001 and continuing to serve on the board until 2016. Her son, Stephen Badger is currently the chairman of Mars’ board of directors. Mars is also a well-known philanthropist, serving as president of the Mars Foundation, where she had made significant contributions to the National Symphony Orchestra and Australian Outback doctors. She also serves on six boards, including at the Smithsonian and the National Archives. Susanne Klatten is the richest woman in Germany, with 19.2 per cent shares in automaker BMW, sole ownership of chemical group Atlana AG, and stakes in wind power outfit Nordex AG, soil additive company Geohumus and carbon and graphite producer SGL Group. But don’t just pass her off for another German heiress—Klatten was instrumental in transforming her grandfather’s Altana AG into a world-class pharmaceutical/specialty chemical corporation and was committed to the development of the company as an investor before fully acquiring it in 2008. The company is now a leader in true specialty chemicals like paint, coatings, adhesives and more. Yang Huiyan is the daughter of Guangdong developer Yeung Kwok Keung, a self-made tycoon who founded Country Garden Holdings. At 25 years old, she became the richest person in China in 2007 when she received 70 per cent of her father’s holdings. Now 37, she is the richest woman in China, with 57 per cent shares of the real estate company. Yang also chairs the Bright Scholar Education Holdings, the largest operator of international and bilingual K-12 schools in China. She owns a 92.59 per cent stake in the education company together with her aunt, Yang Meirong. 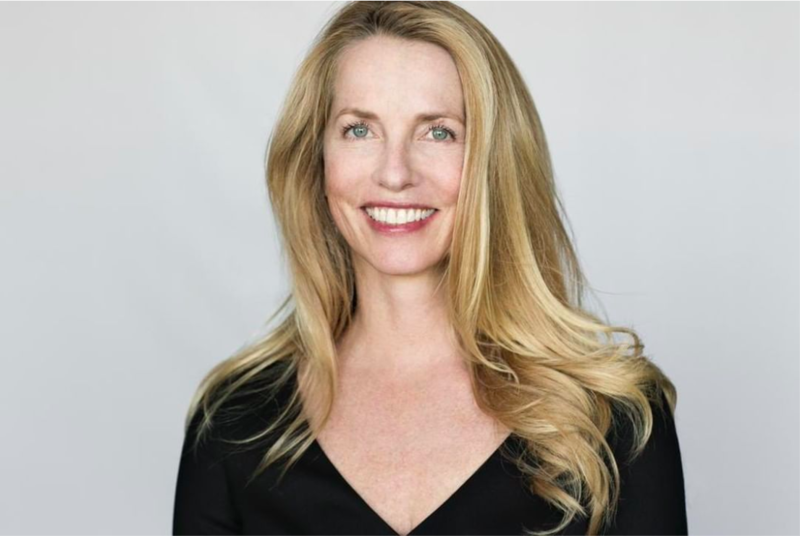 The widow of Steve Jobs, Laurene Powell Jobs inherited US$20 billion worth of stakes in Apple and Disney when her husband passed away in 2011. She has since been channeling her energy in her for-profit social firm Emerson Collective, as well as other philanthropic initiatives. Emerson Collective was founded by Powell Jobs in 2004, named after one of her favourite writers, Ralph Waldo Emerson. The social change organisation focuses on education, immigration reform, the environment, media, and health, using impact investing, advocacy and more to spur change. Besides her brainchild, Powell Jobs has also invested in Atlantic Magazine, other non-profit publications like Mother Jones and ProPublica, as well as film-making Concordia Studio to create documentaries alongside Oscar-winning director Davis Guggenheim. The third generation heiress to Fidelity Investments—the privately held mutual fund giant founded by her grandfather Edward C. Johnson II—and the first woman to take over its reins, Abigail Johnson has proven herself to be one of the most powerful women in finance. Since becoming the CEO of Fidelity Investments in 2014 and its chairperson in 2016, Johnson has quickly shaken things up at the 72-year-old firm, steering away from its traditional, open-end mutual funds and introducing millennial-friendly zero-fee index funds. She is also known to be dedicated in creating a welcoming work environment for women at her company—financial services are notoriously biased against women—by promoting fair hiring practices and raising awareness on sexual harassment. The matriarch of Chile’s richest family, Iris Fontbona inherited the Luksic Group upon her husband Andrónico Luksic’s death in 2005. The latter had built a fortune in copper mining and beverages, leaving his businesses to Fontbona and their three sons, Jean-Paul, Andrónico and Guillermo Luksic. Though the company is largely run by Andrónico, the 76-year-old has been credited for taking the family business to new heights, including a major decision to acquire a 70 per cent stake in Chilean television, Channel 13. The group’s most notable assets include Banco de Chile, the second biggest bank in Chile; Compañía de las Cervecerías Unidas, Chile’s largest brewer; Compañía Sudamericana de Vapores, the largest and one of the oldest shipping company in Latin America; and manages some of the largest copper mines in the world under Antofagasta Holdings. Charlene de Carvalho-Heineken wasn’t always groomed to take over Heineken, the world’s second largest brewer. The family business was founded by her great-grandfather Gerard Adriaan Heineken 150 years ago, and eventually passed to her father, longtime CEO Freddy Heineken. The heiress was a stay-at-home wife to her investment banker husband and five children—but that all changed when she inherited a 23 per cent controlling stake in Heineken, when her father passed away in 2002. An only child, Carvalho-Heineken was then forced by circumstances to step up to the role, which she has taken in stride. Since her ownership, she has shaken up declining stock at the brewery, hiring CEO Jean-François van Boxmeer and enabling acquisitions to boost Heineken’s position in the market. Carvalho-Heineken has shared that she views her leadership as more of a guardianship and is grooming her children to take over the family business. Gina Rinehart is Australia’s richest citizen. The mining magnate is the executive chairman of Hancock Prospecting, a privately owned mining and agricultural business, which she inherited from her father, the iron-ore explorer Lang Hancock. However, the ‘iron lady’ refuses to be called an heiress—and rightfully so. In fact, what she inherited was a bankrupted estate and ailing business, one that she has since rebuilt in a business worth 300 times more, her most valuable investment being the Roy Hill mining project. She also steered Hancock into the beef sector, becoming Australia’s third largest cattle producer. Her communications team have expressed that the word “heiress” reflects negatively on a woman who had worked exceptionally hard for success, and that “it is unfortunate men like to think a female can’t be successful, must have inherited.” Rinehart is a role model for women in Australia.